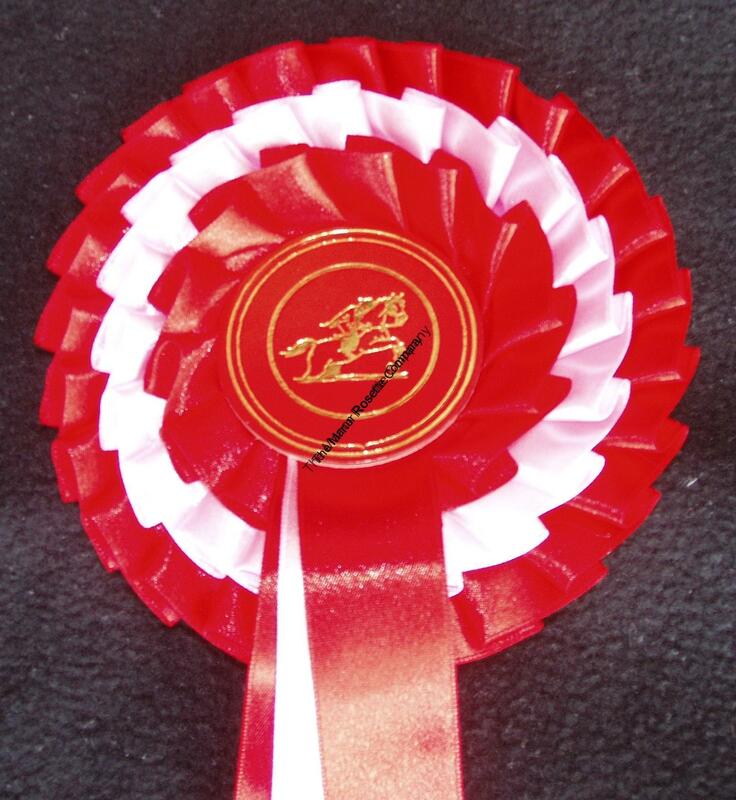 A fantastic 4 tier Worcester style rosette with 1 tier of loops and petals, 3 tiers of ribbon and 1 tier of petals around the outer edge of the centreboard. 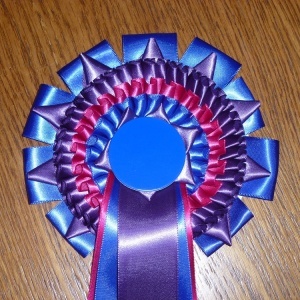 The tails are 18″ long. 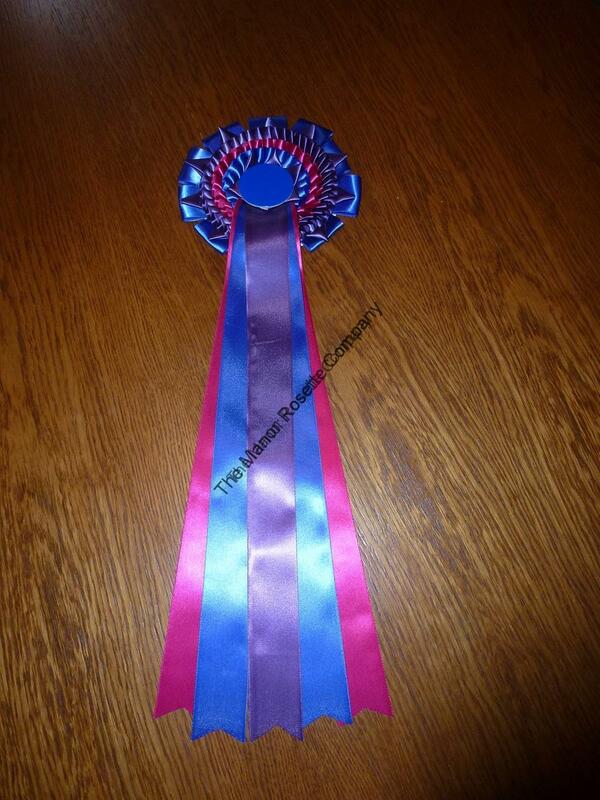 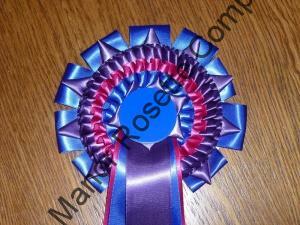 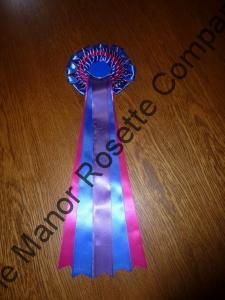 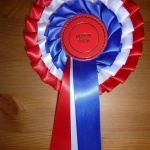 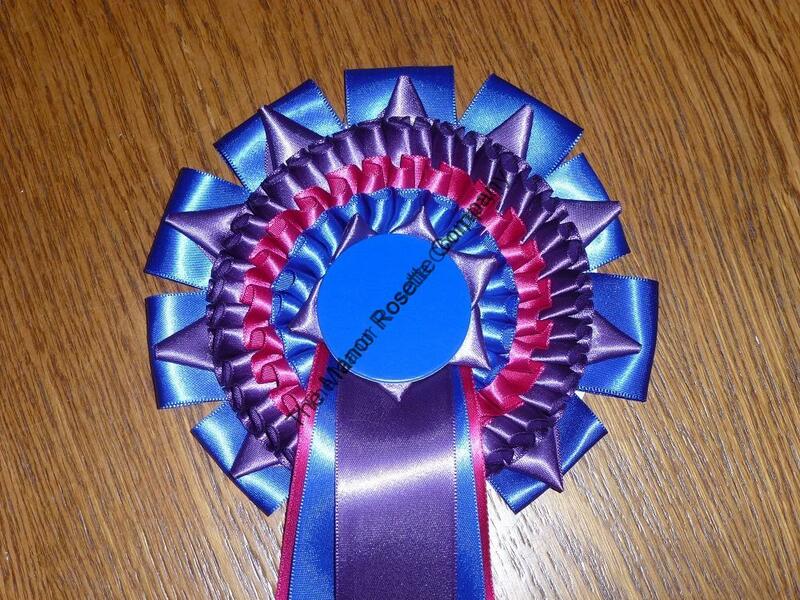 This rosette can be made in any colour combination.